The Black Moon story arc of Sailor Moon Crystal is now available to view in English on Hulu and Neon Alley in its entirety. 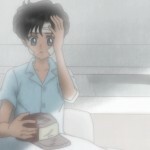 Now that the first 26 episodes of the series have been dubbed we should expect a lengthy break before we see any other English episodes of Sailor Moon Crystal. The Infinity arc has only started to be available subbed so it will be a while until that dubbing takes place. 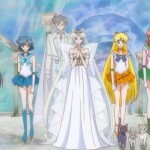 Crystal Tokyo is finally saved, thanks to the help of Sailor Chibi Moon. 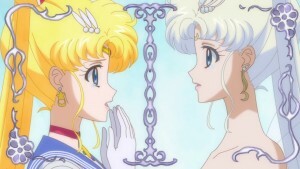 Sailor Moon must be careful not to see the future version of herself, which she does anyway with no consequence. This is the home video version of the animation which is updated from the original streaming version. 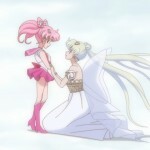 The main change here is Chibiusa’s updated broach in the final scene. I mostly wrote but never got around to posting my final Blu-Ray review and that’s the most significant thing I recall from it. 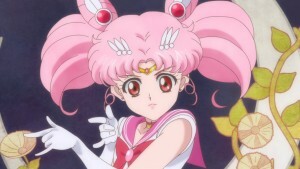 This entry was posted in Pretty Guardian Sailor Moon Crystal (2014) and tagged Sailor Moon Crystal Act 26 - Replay – Never Ending, Sailor Moon Crystal English Dub, Sailor Moon Crystal Phase 2 - Black Moon by Adam. Bookmark the permalink. Now we have all 26 English episodes of Sailor Moon Crystal. But I still want a Pokemon/Sailor Moon anime crossover special. 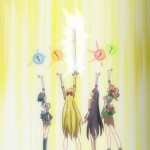 And I want the original Japanese actors from the original anime (besides Kotono Mitsuishi) to reprise the Sailor Guardians. This episode felt shorter than I remember it.